Jordan Bastian of MLB.com reports one-time UK outfielder turned second baseman Jason Kipnis, who transferred to Arizona St. from UK, will participate in the Cleveland Indians Winter Development Program for 14 of the organization’s top prospects. Bastian notes Kipnis will compete for the MLB second base job during Spring Training. Eric Lindsey of the University of Kentucky media relations department notes on the school’s “Cat Scratches” blog that the Bat Cats began practice for the upcoming season on Wednesday. Northern Kentucky University has been picked to finish second in the east division by the Great Lakes Valley Conference coaches in their preseason poll. 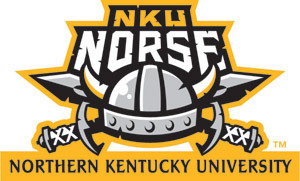 NKU was recently ranked No. 17 in the country in Collegiate Baseball Newspaper‘s preseason Division II poll. If Western Kentucky University finishes among the top eight teams in the Sun Belt Conference it will face a new format in the conference tournament. The Sun Belt tournament will feature two round-robin, four-team pools in the first round with the top team from each pool moving on to the championship game.